Tamberlyn specializes in weight training clients with osteoporosis/osteopenia and has experience in training clients with Parkinson’s and traumatic brain injuries. She left her research position of 17 years at Washington University School of Medicine to pursue her dream of having a more hands-on and personal impact by making it fun to workout, setting goals, and being there whenever needed! 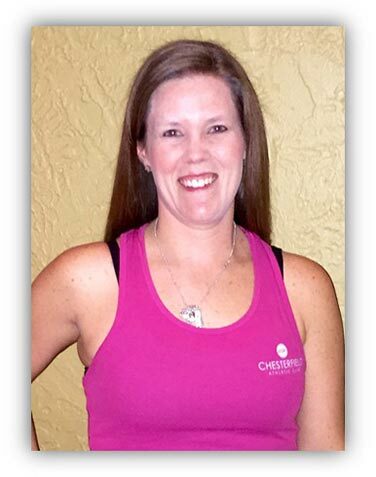 Tamberlyn is also a Girls on The Run coach and enjoys training for endurance sports. She has competed in enumerable 5 and 10k races, half marathons, a sprint triathlon and three Tough Mudders.